Although the Bay Area is by no means landlocked, I was finding myself missing the ocean. There is something about digging your toes in the sand and hearing the waves that can really exhilarate you. Since growing up on the central coast of California, I have missed these experiences. 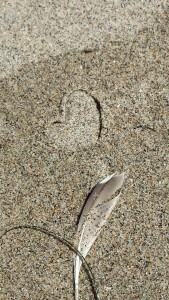 Being back by the beach as really made me feel at home and appreciate what the beach as to offer. I remember reading an article in a psychology magazine that stated the benefits of living near water can be felt near any large body of water, not just the ocean. I found an article that talks about these benefits. No wonder beach vacations are some of the most relaxing and rejuvenating. These benefits of reduced depression, overall happiness and good health can also be attributed to eating fish. 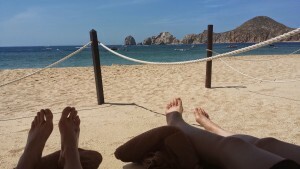 Having just visited Cabo for the first time this summer with my partner, we found that everyday we just wanted to go down and lay, swim and be at the beach. Our beach time grounded us and it helped that we could not use our cell phones. We took many pictures like the one to the right at various times of day and night. It also reminds me of the Sutro Baths in San Francisco, once pools of saltwater and freshwater in the late 19th century that were a place to go swim maybe at a doctors behest. Having visited the place, its seems easy to imagine a fun day spent swimming, diving and enjoying the view. Good thing we can enjoy the benefits without tide controlled pools, all we have to do is simply walk out and jump over the waves. Or lay out your blankets and unfold your chair and just be next to water. It also makes a lot of sense when you think that our bodies are largely water, we need water for survival and water means food. Turns out the color blue is a soothing color and it’s effect along with water has been dubbed the “blue mind” by Wallace Nichols in his new book. I have not read it, but I watched the video. After we returned from Cabo we were lucky enough to spend the rest of the summer at the beach. Our most awesome encounter was with a seal or sea lion. We had talked with a woman who had the hugest dog we had ever seen, some Irish hound dog. As we were swimming we noticed a seal swimming right next to us. Kirsten alerted me to it and I looked straight into its little face and was frozen. It them slipped underwater and we waited a bit and then swam with it and thought better and got out of the water. As we were approaching the shore the lady with the dog said, I saw that. It was such a crazy experience. Some of my favorite things to do are walk and look for beach glass, drift wood or cool rocks. I found a rock that I swear when I picked it up had citrine on the other side. Its okay if you do not currently live near the ocean, chances are you live near some large body of water or you might have received a fountain as a gift. Take a day trip, turn it on, draw a bath, plan a vacation or even buy some paint. Everybody can benefit from waters soothing nature. How do you enjoy the water? With a busy work schedule in L.A., I don’t make it to the ocean as much as I would like. When I do, however, just a few moments in the crisp water seems to cleanse and purify me. 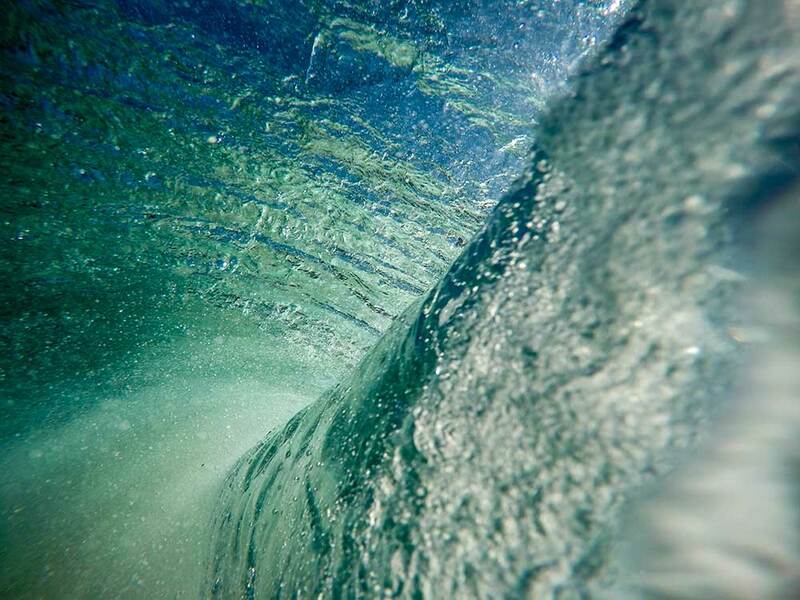 My stress washes away in the surge of crashing waves. I feel a part of something bigger.